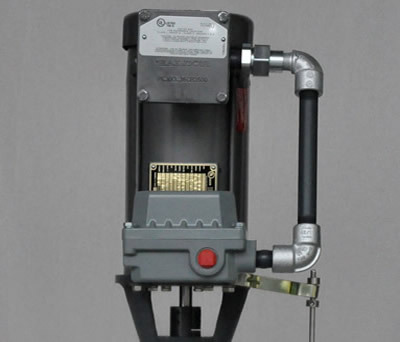 This newly designed stainless steel sump pump is used exclusively for pumping various acids and corrosive liquids where an explosion-proof motor is necessary around flammable liquids. It is ideal for pumping corrosive materials from containers, and cars. Its construction features a flange mounted ball bearing motor which is actuated, automatically, by means of a stainless steel float. It is also available in cast iron, brass and monel, and can be equipped with an air motor drive for extremely hazardous locations. Capacities to 70 GPM and up to 30+ feet head.